Flexible working schedule. You can come in as early as 7am to as late as 11am. 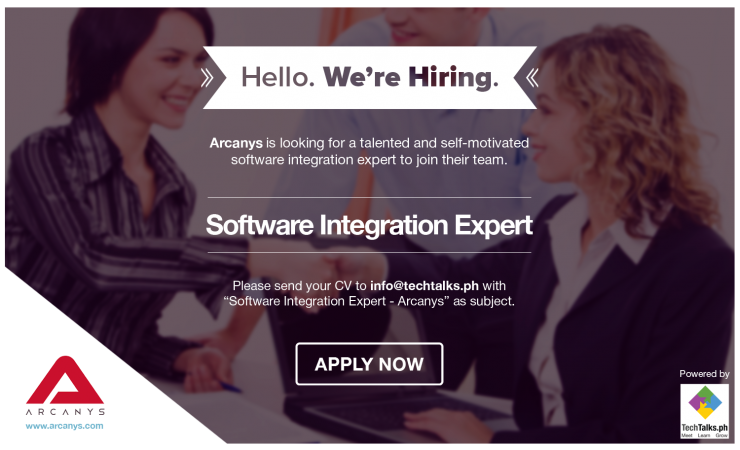 Please submit your Curriculum Vitae (CV) to info@techtalks.ph with "Software Integration Expert - Arcanys" as the subject.